This introduced legume is one of the best cover crops for green manure. 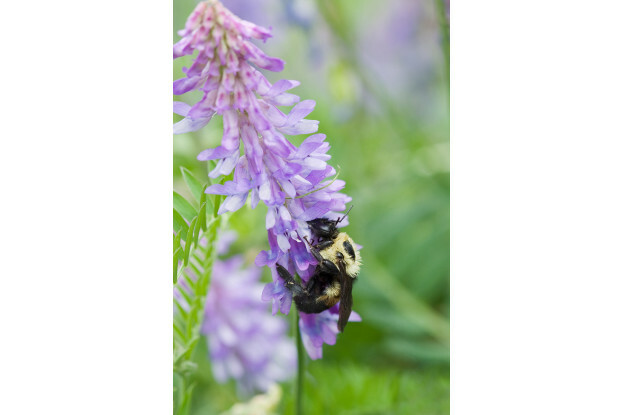 Hairy vetch can be both an annual or short-lived perennial, and produces abundant amounts of biomass. Adapts well to most climates and soil types, but doesn’t like poorly drained sites. Excellent nitrogen-fixing abilities and weed suppresser. It can also be used as a component in pastures and wildlife food plots. Hairy vetch is fairly drought tolerant and can be planted in areas that receive at least 18 inches of annual precipitation.